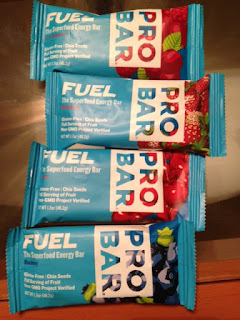 I recently received a generous amount of samples from PROBAR, featuring some of their newest products. 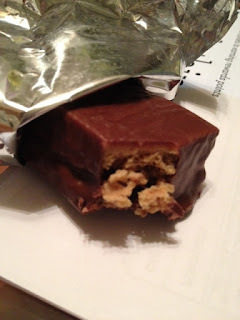 The first were these chews, a USDA Organic energy chew called "BOLT." BOLT comes with 10 easy-to-digest organic gummies for quick energy; they are high in Vitamin B, caffeinated with organic yerba mate, use all-natural sugars (agave & tapioca), and are flavored with organic acai, pomegranate, and blueberry powders. They come in at around 90 calories/serving. 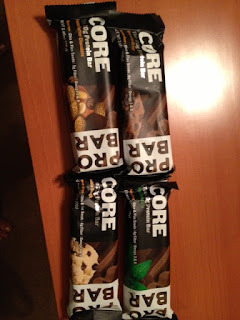 I was eating these during the marathon this past weekend (the orange one), and they were very tasty (and portable)! 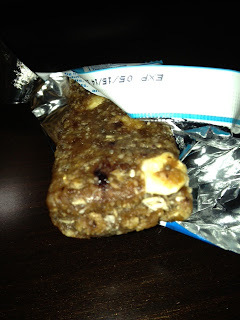 ﻿Up next are these FUEL bars, which are fruity and contain chia seeds for hydration. These contain around 140 calories each and are good for healthy snacking! So the kicker is, I gave my Powerbar-eating boss a sample of each, and she gobbled them up astonishingly quickly. Given that these are much more natural, I feel like I've done a good deed! FTC Disclaimer: I was provided samples of these products but was not otherwise compensated to provide a positive opinion.